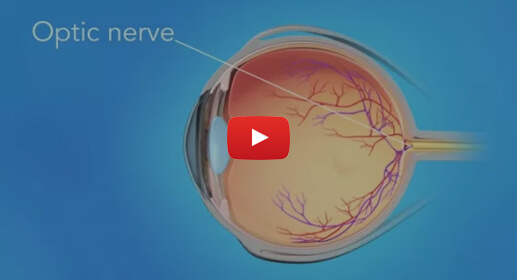 A complete eye exam performed at NEORETINA may be different than the eye exam you are used to receiving for glasses or contacts. Please plan to be in our hospital for approximately three hours which will allow time for dilation, diagnostic testing and the exam performed by the doctor. If treatment is recommended for your condition, please allow for some extra time in our hospital to perform the procedure. Dilation opens your pupils to allow the doctor a better view inside your eye. It is important to know that your vision will be blurred and you will be sensitive to light for a few hours if not the rest of the day after dilation of your pupils. Therefore, we recommend that you bring sunglasses and have someone drive you home from your appointment. 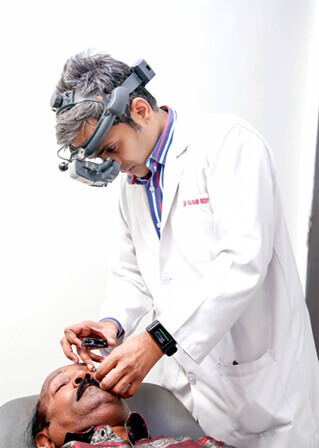 Our doctors are vitreo-retina and uvea specialists which means their focus is to look inside your eye at the vitreous (jelly-like substance inside the eye) and the retina (the back wall of your eye responsible for vision). 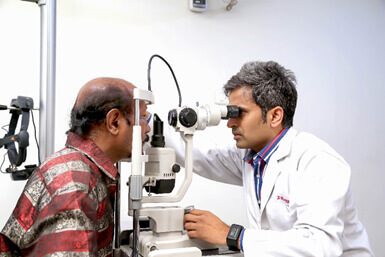 Most diagnostic tests that the doctor may order to evaluate your eye condition can be performed right in our hospital at the time of your appointment. Some of the procedures that may be recommended to treat your condition can also be performed by the doctor at the time of first consultation itself or can be scheduled at a later date. The hospital offers day care surgical services with no provision for overnight stay. Arrangements for accommodation within the city must be made by the patients themselves in case of outstation and international patients. Patients who have been injected gas as a part of surgical procedure can travel back by air only after the doctor is satisfied that the gas has been absorbed and it is safe for the patients to travel back by air. There is no such restriction for patients travelling by road or rail.